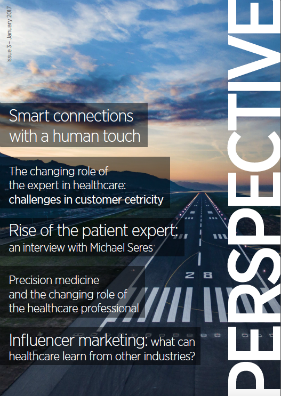 In the 2017 trends edition of Perspective magazine, we explore how advances in technology are influencing the future of the expert-patient relationship and the role healthcare businesses can take in supporting and enhancing these interactions at the point of need. At the beginning of each year, we take a look at the trends and key topics for healthcare and pharma for the year ahead. In 2017, rather than touch lightly on ‘top trends’ for the year, we’ve taken a deeper dive into an issue that is going to have a profound, lasting impact on the industry: the evolving role of the expert in healthcare.